With more than 75 books, a dozen copies of the National Magazine publication WE NEED NOT WALK ALONE, 2 music CDs, 1 “talking book” and 2 meditation CDs, The Compassionate Friends East Of The River Loaning Library is growing. Subject matter includes books that speak directly to parental grief, the journey of fathers after the loss of a child and general bereavement, as well as books with spiritual and religious perspectives. There are several books available by authors who have journeyed through tremendous trials and tribulations including Michael J. Fox’s ALWAYS LOOKING UP, RESILIENCE by the late Elizabeth Edwards, and WHY I WORE LIPSTICK TO MY MASTECTOMY by Geralyn Lucas. In additional to the non-fiction, self-help and informational books, the library offers several works of fiction as evidenced by THE LOVELY BONES, and CHARLIE ST. CLOUD (which also have been made into motional pictures). 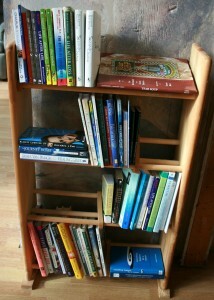 Members are welcomed to borrow any book for whatever time is needed. “We understand that sometimes it is hard to read, particularly right after a loss,” says Chapter Co-Leader, Jim Darby. In addition Jim notes that all books and CDs are available to borrow from any meeting and may be reserved ahead of time by http://www.tcfeastoftheriver.org/contact-us/ Subject line: LIBRARY. Thus far, all contributions to the library have been made by parents who have donated from their own personal libraries. 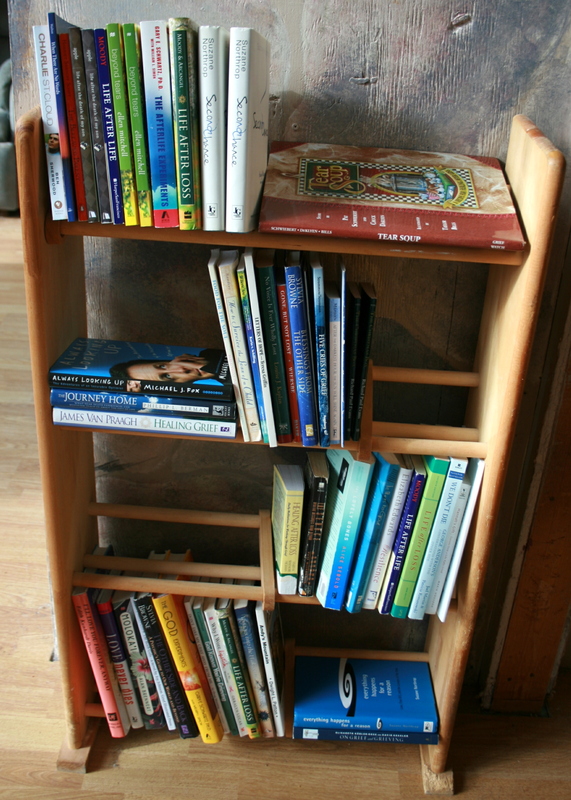 Gently used books are always welcomed, as are donations of new books or funding toward the library.